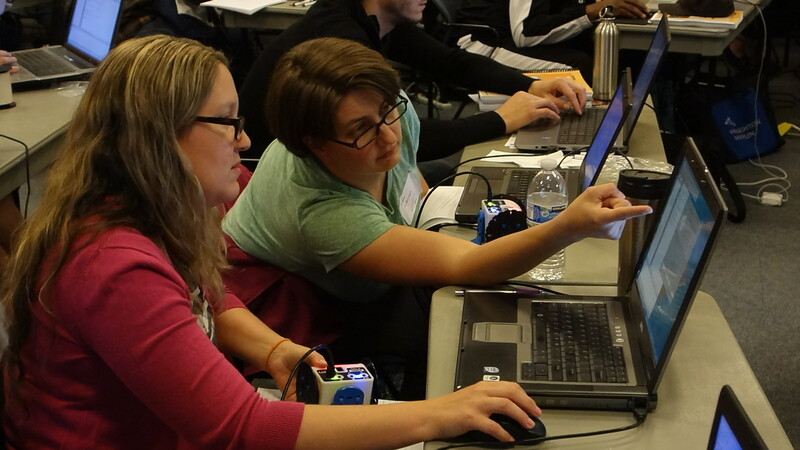 Over 40 STEM teachers attended a C-STEM Professional Development Workshop in Alameda County Office of Education in Hayward, California on April 21 to learn how to integrate programming and robotics into STEM subjects for integrated learning. The training is well received by these teachers. All teachers are excited to launch the C-STEM project in their schools with full energy and enthusiasm. Special thanks to the California Department of Education (CDE) for sponsoring this workshop and workshop hosts Jamie Marantz and Allison Lucas at Alameda County Office of Education for providing excellent facilities and support for the event. Below are some comments from the workshop participants in Alameda.